Paris, a city renowned for its beauty. Surely, it’s on everyone’s bucket list? It was certainly in mine. However, whilst its tourist attractions met my expectations, my overall experience was a disappointment. It’s my least favourite European holiday yet and I couldn’t wait to go home. 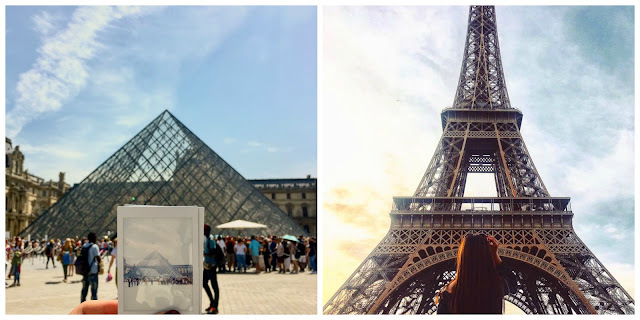 Five weeks later, I’m still dealing with issues that we encountered back in Paris. Paris is a lot bigger than we anticipated, like most holidays we assumed that the tourist attractions were all within walking distance. Unless you don’t mind long-distance walks then this certainly isn’t the case. 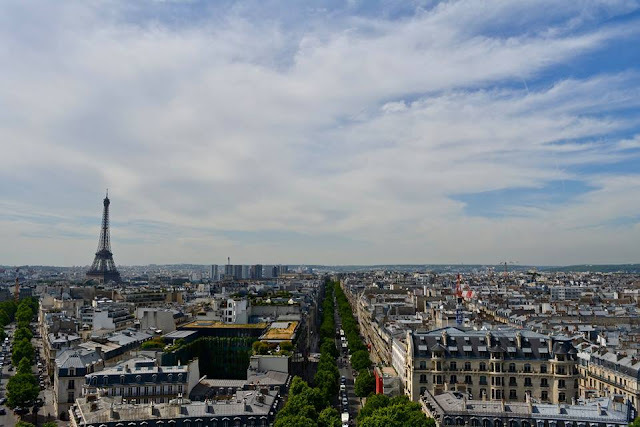 Prior to arriving in Paris, we organised our itinerary for the three days we were there which enabled us to work our way around Paris so that the last sight-seeing attraction was close to our hotel. If you’re on a budget, obviously you need to be strict with what you spend your money on. See if you can get any tours for free! Luckily, Arc de Triomphe and the Palace of Versailles we got in for free as we were under 25 and European Citizens (so bring your passport if this applies to you!) However, the Louvre Museum and Sacre-Coeur Basilica didn't have the same discount. ALSO, you have to pay to use the toilets in a lot of the places we visited. I think this even included McDonalds. Paris has been the most expensive European country I’ve visited to date. I was baffled when a tall green-tea latte cost 5 euros whereas in London, it’s only £2.95! So, there is a quite a big difference in terms of pricing. If you can’t afford to do that, bring your credit card. It’s so useful to have money available in case of an emergency. This was something we didn’t do, after a long day of walking we were far too exhausted to travel back into the city centre. However, I do regret not seeing the Eiffel tower or Arc de Triomphe at night; I’ve seen so many beautiful pictures! Unfortunately, we didn’t have the best experience when it came to welcoming, friendly members of the public. We got scammed, harassed and witnessed someone almost getting robbed. You need to be wary about a group of aggressive petitioners which we encountered. Even though we persisted and said “no”, they surrounded us and continued to follow us until my mum basically yelled at them to leave us alone. They will try and distract you by getting you to sign a petition for homeless people, when in reality they’re pickpocketing you. I’m sure there’s other methods of scammers and pickpocketing around Paris. Never have I felt so intimidated and uncomfortable on holiday before. Paris has by far, been the worst when it came to pickpockets. Now, I would like to say we were foolish for trusting this man but at we didn't know any better. At one of the metropolitan stations, a man tricked us into buying the wrong ticket and insisted that we handed him, not the machine, the money since he was going to help us with his card (equivalent to an Oyster in London). We assumed he worked there since he was wearing a lanyard. But it turns out he made us purchase zone 1-5 single tickets that cost 10 euros extra, when we needed a return ticket in zones 1-3. PLEASE DO NOT TRUST ANYONE (UNLESS IT’S STAFF BEHIND THE TICKET COUNTER) THAT SAYS THEY’RE HELPING YOU, chances are they're tricking you. Also, in the touristy areas you’ll come across many people who will try and sell you things – from keyrings to alcoholic drinks – especially around the Eiffel tower. This is actually illegal but because there’s so many of them, I can see why it’s hard to control masses of them. I would advise you to spread it out to two to three days so you can really appreciate the tourist locations. 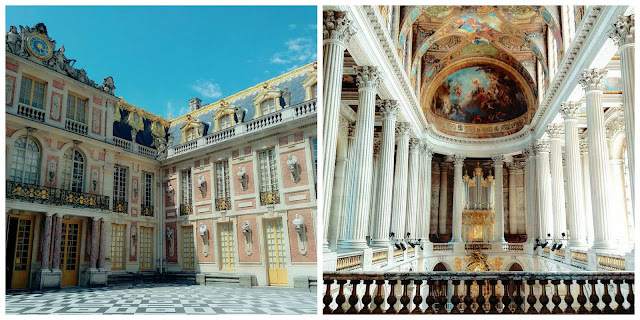 We spent one day in the Palace of Versailles since it was quite far from the city centre itself and it was huge, I do wish we spent more time there. So as to avoid exhaustion and get value for your money, do explore and take your time learning about them. Charles de Gaulle airport is the worst airport I’ve ever been to. Whilst the facilities are impressive and luxurious, I can’t say the same for the Air France staff that work there. The main reason for the delay was the staffs inability to direct us to the right counter and ability to understand the information (receipt of our luggage) we presented. The queue for baggage drop approximately consisted of more than 30 passengers and there were two members of AirFrance staff dealing with it. We arrived at the airport at 11am and started queuing at 11:30am (due to the staff misdirecting or unwilling to help us, so we had to use our initiative and ask the passengers queueing up) and checked in our bag at 12:40pm. The deadline were as follows - bag drop-in was 12:30pm and boarding for the flight was 12:50pm for the 13:10 flight. The AirFrance staff on the counter said we'd still make our flight, we went through sky priority in passport control AND security. Yet, we and ten others didn't make our flight. Even when my mother explained to passport control our situation, they had the audacity to laugh at her and joke about our situation. What made this entire airport experience suspicious was that more than ten of us missed our flight and had to fork out an extra 200 euros each to get the next flight back. What’s frustrating is that this situation could have been easily avoidable had the staff helped us rather than ignore us and get distracted by chatting to their colleagues. I don’t know about you but even during my time working in the retail industry, it was important that we don’t get distracted nor have casual conversations with our colleagues; we were there to do a job not have discussions like it’s a community centre. It was majorly disappointing that the staff were all unprofessional and didn’t handle it properly and competently. The staffs behaviour within CDG airport and AirFrance were horrendous to experience and as a consumer, we were unjustifiably wronged. They have taken more than five weeks to deal with our issue and it’s ongoing. The only efficient service I've received from them is through social media. Not only has this left me disappointed in their service but I vow to never use their services again. I felt the need to speak out about this to warn others what to expect when travelling from Charles de Gaulle Airport through AirFrance. If you choose to do any further research, you'll see that we're not the only disappointed customers who experienced this. It’s unfortunate that we left Paris on a bad note, it makes sense why our Uber driver told us that taking the Eurostar would have been better. However, the next time I do go to Paris, I'll make sure not to repeat the same mistakes. 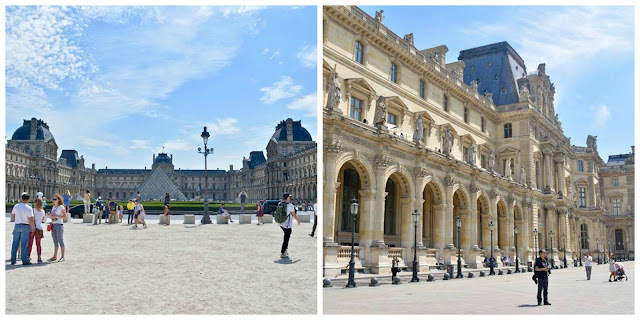 Have you been to Paris before? How was your experience? I'm so sorry to hear that you didn't enjoy Paris as much. I remmeber looking at your tweets about your flights and was so angry that they were acting so unprofesional. The two times that I've been to Paris I went on the EuroStar and although we missed one, they let us on another almost immediately which was a relief. DO NOT TRUST ANYONE IN PARIS. Great advice! I have so many horror stories of seeing and experiencing bad things happen there. I recall the last time I went was when I was with my family queing up to Disneyland and there was a guy peeking over sneakily over everyone's shoulders when they would put their card in and type their pin. It was so obvious to me watching it happen to so many other people. I remember telling my dad who then reported it to security. The guy was chased out of the area, it was horrible and scary especially before going into the happiest place on Earth. Yikes. We never walked around Paris at night (my family don't usually like going around at night, ANYWHERE) but it is on my list to go back and see it at night because it is super beautiful. The Effiel Tower is such a dream! Girl let me tell you, anyone who has taken the eurostar to Paris has had no complaints whatsoever. So I definitely think the experience was ruined by the airport and unprofessional staff. Next time, we'll definitely be taking the Eurostar. Oh my goodness, that sounds so scary. I recall you telling me about this when we met up. It's so good you were cautious and I'm glad you guys prevented it from happening to other people. There are very sick people everywhere you go, they just want to take advantage of people from having a good time. Me too! Perhaps we can go there together next time haha! I feel like there's always a hint of disappointment somewhere when it comes to traveling... Especially when you go somewhere that's super hyped up! Researching before going somewhere is a big plus. I always love reading up tips before my trip to know what I should look out for. Bring cash is definitely a plus!! I didn't bring cash and I didn't get to buy that many things because some shops are still cash only @__@. I agree with you about not trusting anything! I've read so many stories about people getting scammed. I didn't know aggressive petitioners can be a trick as well! Your experience at the airport sounds like a nightmare. I can't believe the staff would laugh and joke about what happened. That's so unprofessional and I'd definitely make a report. I hate it when service staffs are too busy chatting with each other and kind of ignore you for a while. Hope you're not going to book with AirFrance again! You're absolutely correct, it's mostly down to the fact that it doesn't quite turn out the same way we anticipated. 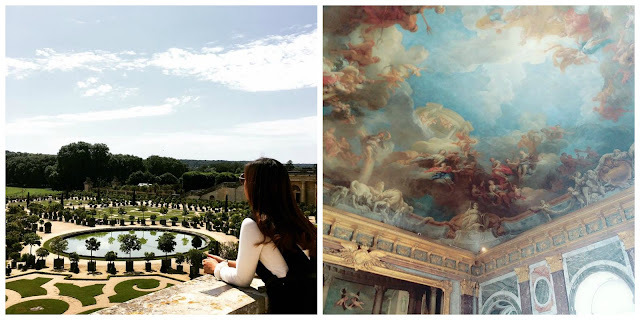 Of course whenever we're travelling anywhere, we expect it to look or be a certain way but more often than not it can either be better or worse than we imagined. Despite my bad experience, I won't allow it from stopping em from ever going again. The place itself was beautiful but the people and rude customer service was just shocking. Your article is so god for us to know the things to do and do not in Paris tour, It will really helpful and give us to make better decision for our trip. Choose the excellent coach for Trips to Paris at affordable price. Ahh thank you so much! :) Best of luck when you do go to Paris, it's a beautiful city. Thanks for sharing this blog. You can visit Surf City Vacation rentals if you want to rent a property for your vacation which you can rent without any booking fees. It's a really very Nice blog !!! Thanks For Sharing this type of Blog !!! Nice and Informative Blog !! !